The Ebola outbreak underway in the Democratic Republic of the Congo (DRC) is still too limited in scope to warrant a Public Health Emergency of International Concern (PHEIC), a special status that would allow the World Health Organization (WHO) to issue far-reaching recommendations to stop it. That was the conclusion today of a high-level WHO advisory group. As of today, surveillance teams in the DRC have identified 45 suspected, probable, and confirmed cases of Ebola, including 25 deaths, in three areas of the country’s Équateur province. 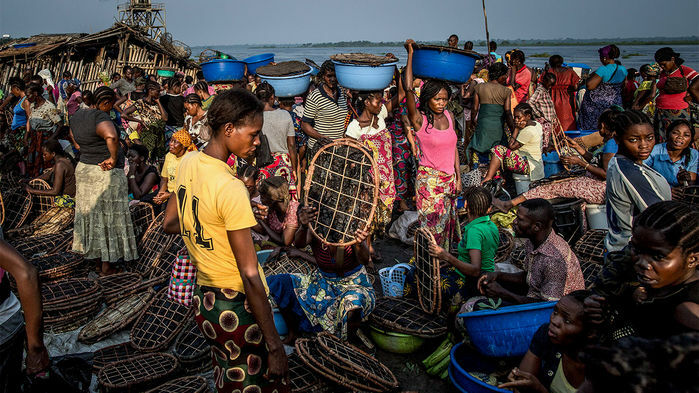 Of the 14 confirmed cases, the one that has raised the most intense concern is in Mbandaka, a heavily populated port city on the Congo River that connects people to neighboring countries. The International Health Regulations (IHRs), a WHO agreement on how to handle disease outbreaks, stipulate that a PHEIC be declared if there’s a “significant” risk of international spread. This outbreak doesn’t meet that condition yet, Robert Steffen, who heads the IHR Emergency Committee, announced today at a press conference in Geneva, Switzerland. Steffen noted that the majority of the cases are in hard-to-reach areas, from which the risk of spread is limited. He further explained that the rapid response by the DRC government, WHO, and international partners since the outbreak was confirmed a short 10 days ago “provides a strong reason to believe that this situation can be brought under control.” The decision by the DRC to use an experimental Ebola vaccine, he said, adds “some optimism” that spread will be quickly contained. Peter Salama, who heads WHO’s Health Emergencies Programme, said two shipments of the vaccine have already arrived in the DRC and as many as 10,000 people will be targeted to receive it, starting Monday. Vaccine teams will offer shots to people who have come in contact with cases, their contacts, and so-called front-line responders, including medical staff, transport teams, and burial workers. Steffen told reporters that the current situation does not call for any restrictions on travel or trade but that departing passengers at DRC airports and in the ports of Mbandaka should be screened for fever. The DRC is surrounded by nine countries; all should strengthen their surveillance and preparedness, Steffen said. “If the outbreak expands significantly or if there is international spread, the emergency committee will be reconvened and will reconsider its fundamental decision,” he said.